Requests for training assistance have increased over the past several years, but our location and my job responsibilities precluded my training of outside dogs. We have now relocated to a property in the midst of my training area, expanded kennels and developed bird holding facilities, and plan to soon be rearing gamebirds. I have also recently retired from Oregon State University so am ready to take in a small number of dogs for training. 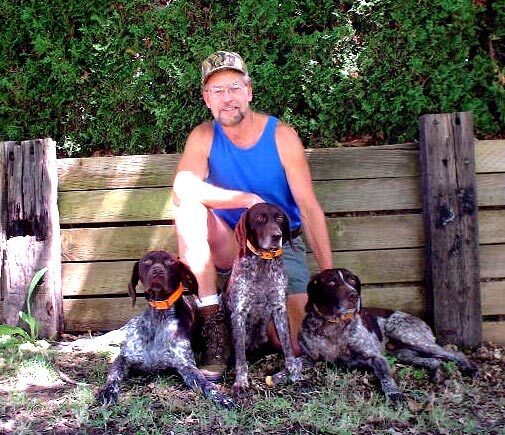 While I feel confident in training most versatile hunting dogs, I am initially limiting training to German Shorthairs, preferably working with young dogs to get them off to a solid start. I will give preference to Chippewa dogs or pups sired by a Chippewa stud mating. All dogs will be thoroughly evaluated during their first week of training. At the end of that time I will discuss with the owner my findings and my expectations of the dog to achieve the level of performance desired by the owner in the training time planned. If I find the dog not to be satisfactory for my further training, the owner will be asked to collect the dog and there will be no charge for the week of training and boarding. Likewise, if my progress projection is not found satisfactory, the owner can collect the dog but will be charged for the one week of training. The owner is invited to make arrangements to observe training sessions of their dog and is expected to participate in at least one (preferably two) of the later training sessions to learn about 'reading' and handling their dog. My intention is to train both the dog and the handler so that the dog's performance can continue to improve under the owner's supervision. Training will initially be limited to April - August, the months with most suitable training habitat and most important in preparation for the forthcoming hunting season. Exceptions will be considered, e.g. dogs being prepared to run NAVHDA or other tests. Contact me to discuss prices and further training conditions.